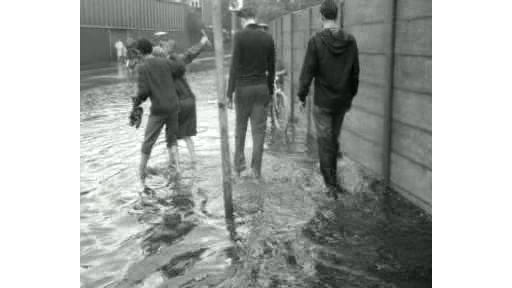 Heavy weather has led to flooding in large parts of the Netherlands. In Hilversum the sewerage can't handle all the water and the streets are flooded with more than half a meter of water. Cars ride through the water, garages are flooded and the traffic tunnel underneath the tracks near the train station is totally flooded.